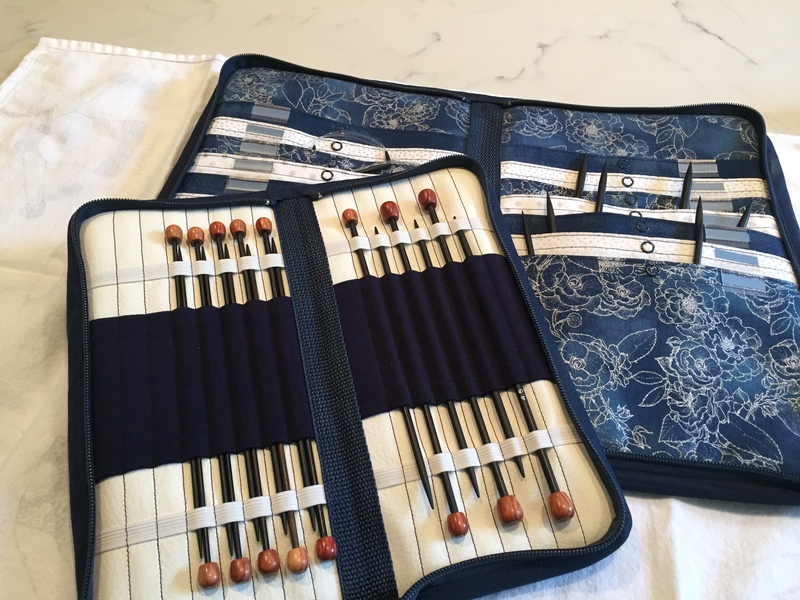 I have two sets of fabulous Holz und Stein needles, each in a custom- made case from Grace’s cases. 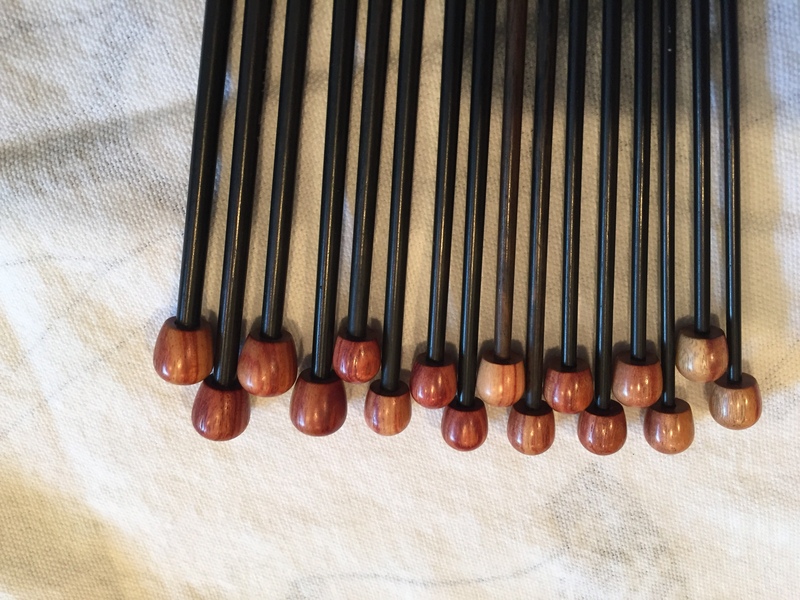 The needles are handmade in Germany from wood left after the manufacture of musical instruments. 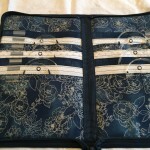 The cases are handmade of quality fabrics and materials in Oregon. 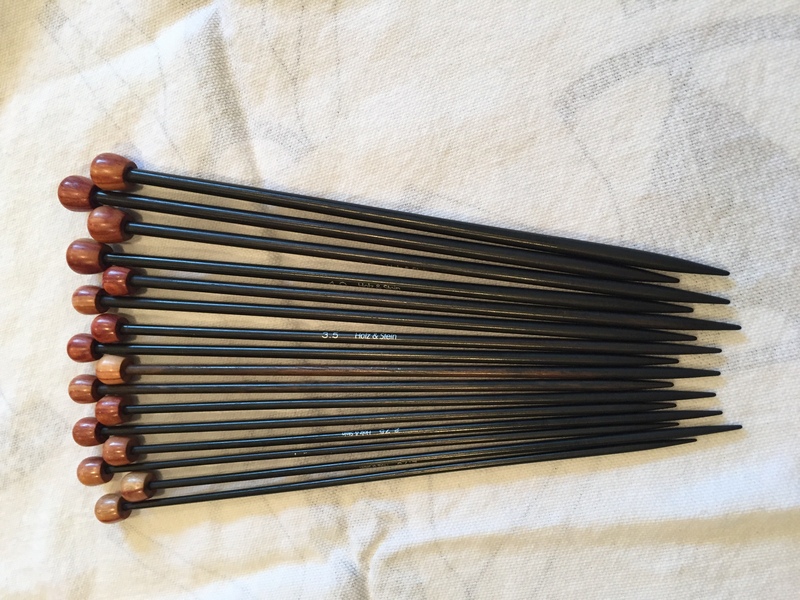 The first set is eight pairs of 7 inch straight ebony needles with lace points. 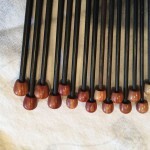 They have rosewood knobs and are perfect for scarves, small shawls, washcloths or other smaller knitted items. 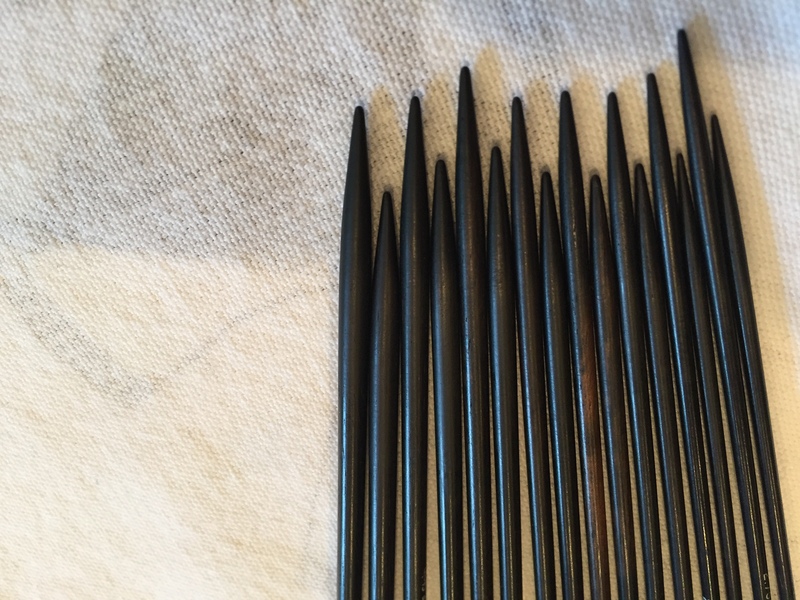 The needles are smooth without being slippery. 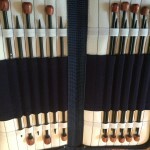 The set includes US sizes 1.5, 2, 2.5, 3, 4, 5, 6, and 7. 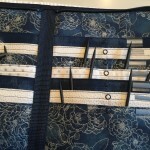 The padded, zipped case holds the needles securely in elastic and has a notions pocket on the outside of the case. 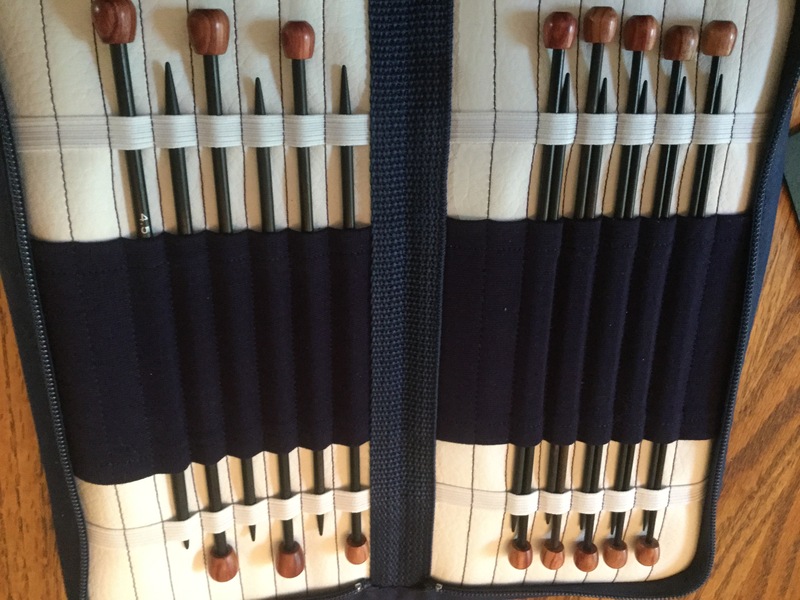 The set of eight pairs of needles in the case is $250 and includes insured priority shipping to the US. 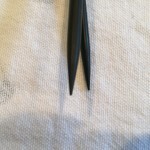 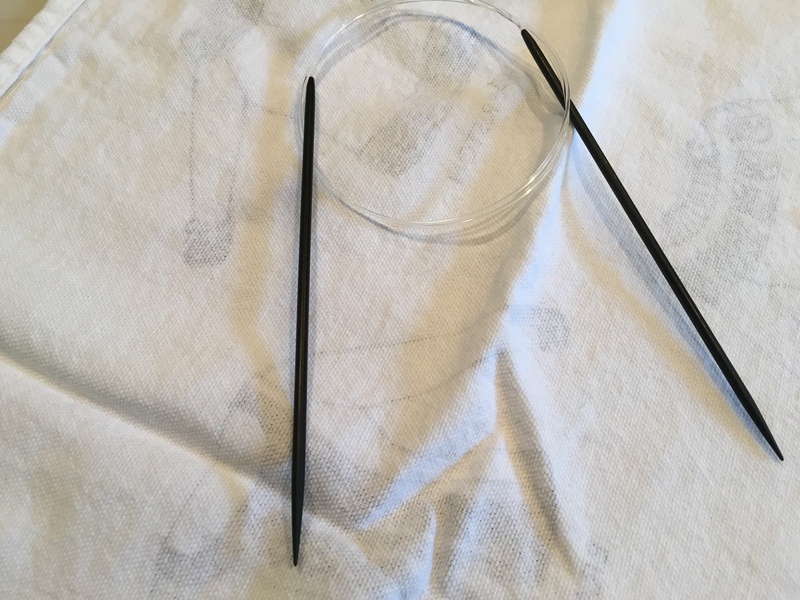 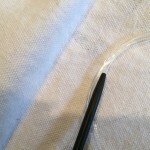 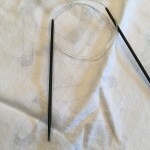 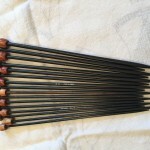 The second set is eight ebony fixed circulars, each is 32 inches in length and has lace points.. 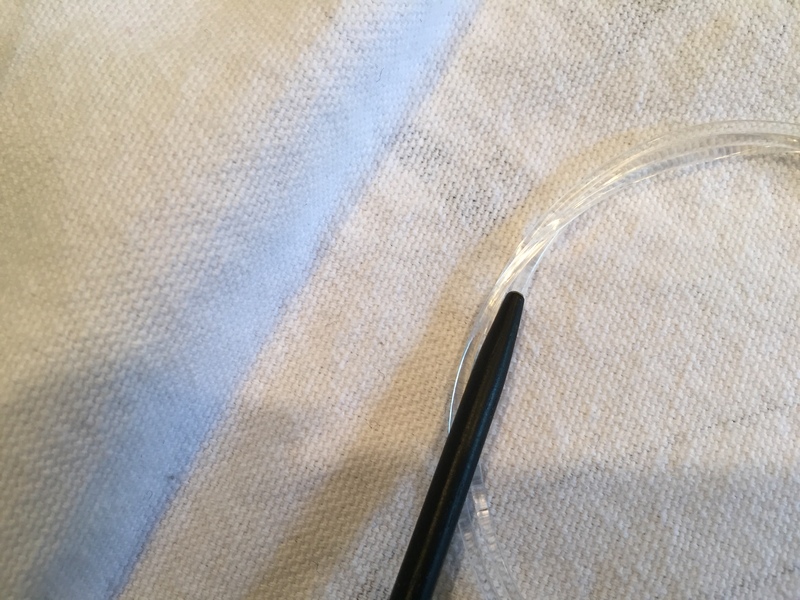 The join is smooth and the cable flexible. 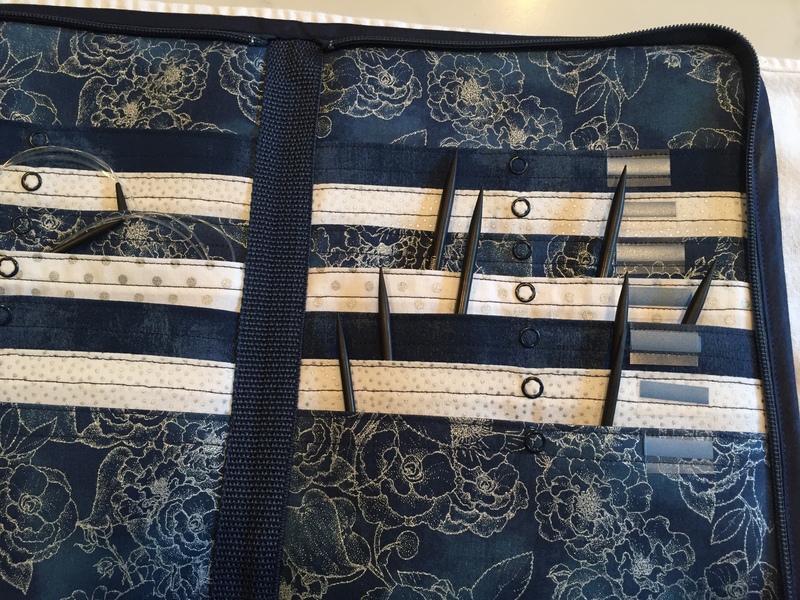 Grace’s Case made a specially designed case that is padded, zips shut, and holds each needle in its own snapped pocket that can be marked with the needle size. 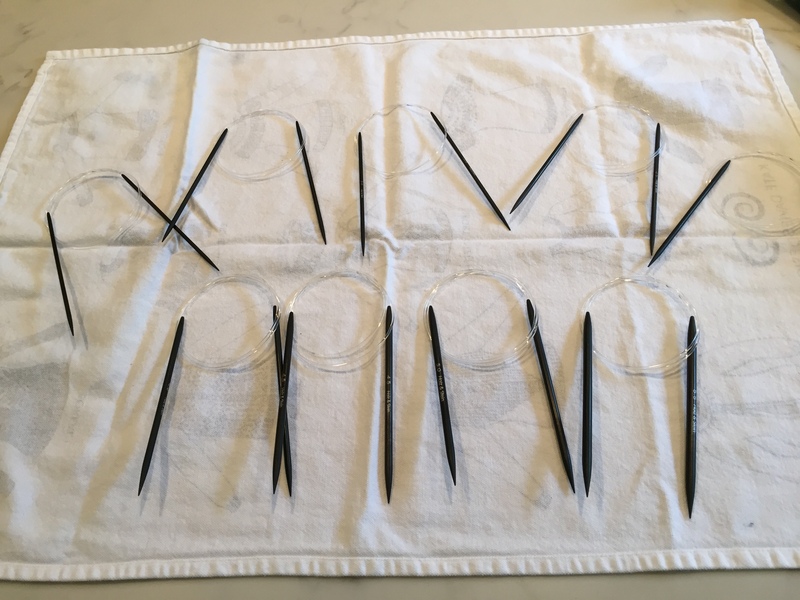 There is room for several more circular needles. 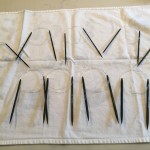 The set of eight fixed circular needles is $325, including insured priority shipping to the US. 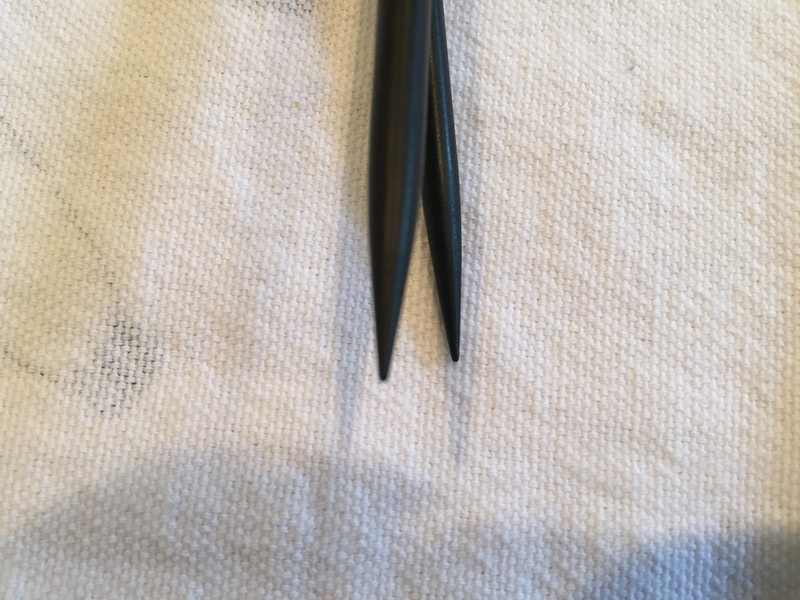 Want both sets? 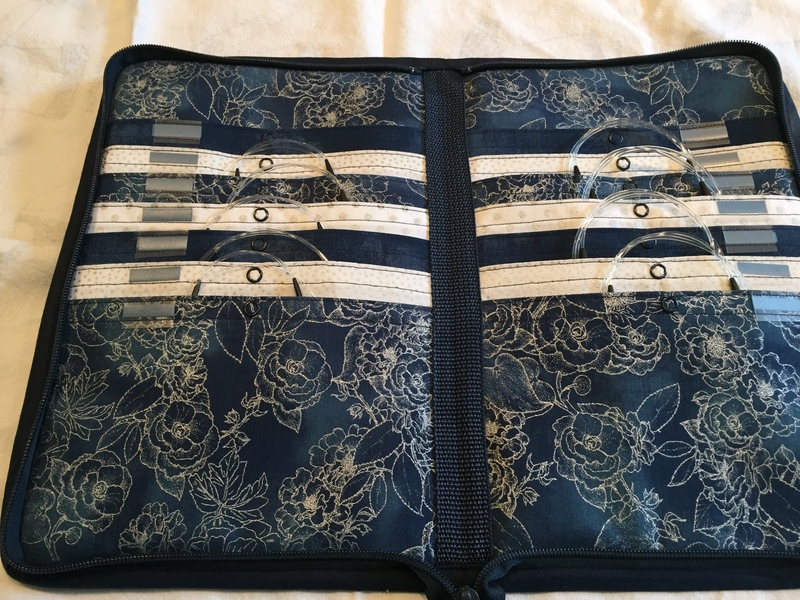 Save$25! 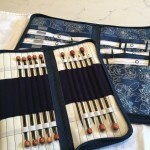 $$550 for both sets in matching cases. 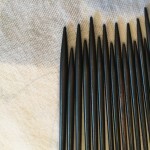 This entry was posted in Uncategorized on December 3, 2015 by nina@ninaknit.com.